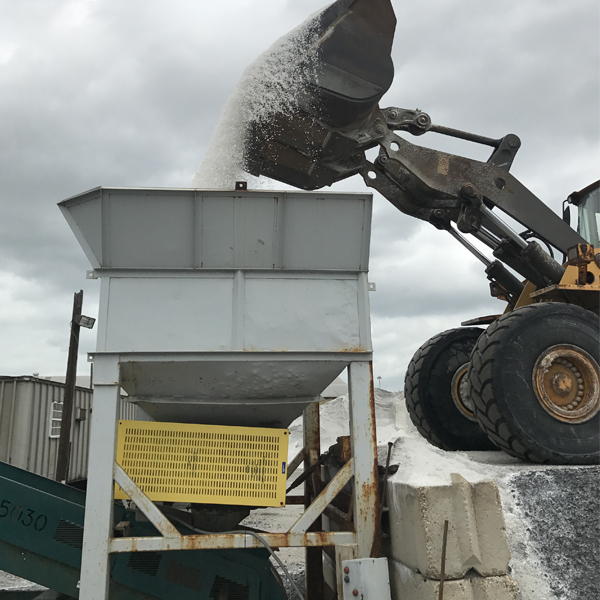 Designed to rapidly and efficiently break up large lumps in one pass, the Sackett-Waconia Lump-Buster is the best choice for use with firm lumps in high humidity conditions. Because the Lump-Buster has no screen to clean, maintenance is kept to a minimum. The Lump-Busters low speed (58 RPM) rotor easily breaks up lumps as the rotor blades impact them over the heavy-duty grate. A large by-pass area is built into the unit so on-size product can pass through the grate without being impacted by the rotor blades. This allows for lower horsepower requirements and higher material flow. The Lump Buster comes standard with a 304 Stainless casing and heavy duty 1/2” thick carbon steel blades and V-grate for strength and long life. Dodge drive components and bearings are standard on all sizes . Sackett-Waconia’s highly efficient “rock pick” style blades grab lumps, biting and crushing them all in one efficient step. Should the blades wear down, simply reverse rotor direction and use the opposite edge for lump breaking. A Sackett-Waconia tradition is to have all shafting, bearings and drives designed for heavy-duty, around the clock service. 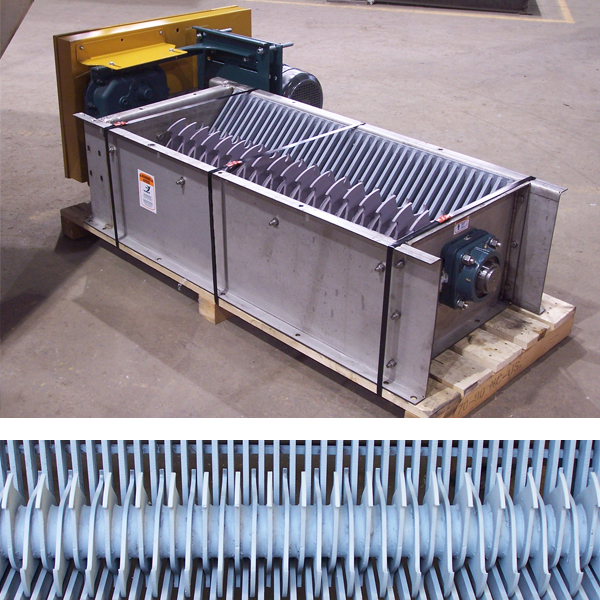 The area above the rotor (feed hopper) must be constructed in such a way that the rotor area is covered by grating to prevent personnel from coming into contact with moving parts. Additionally a “baffle system” is required over the rotor to protect it from “shock” loading. Consult OSHA and your local safety regulations prior to considering this option.